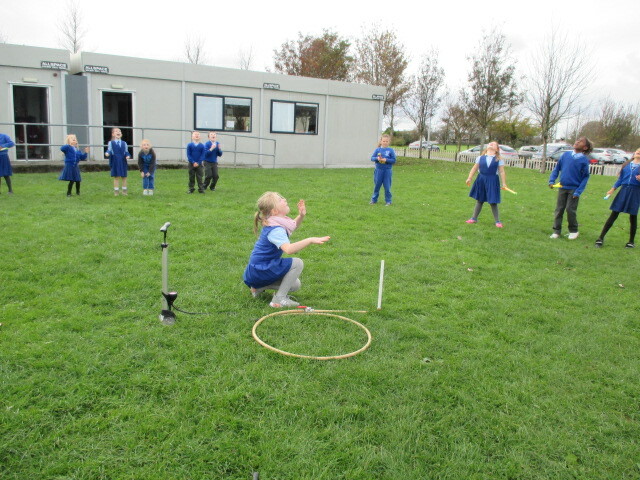 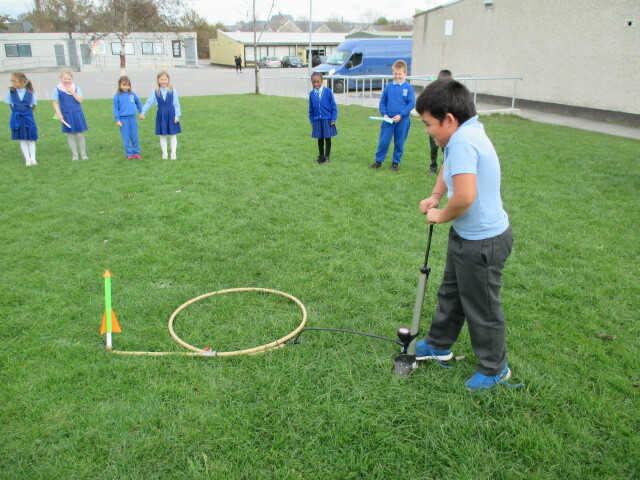 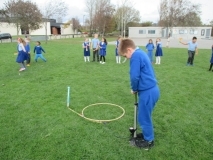 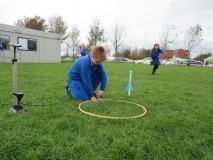 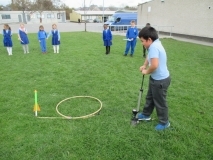 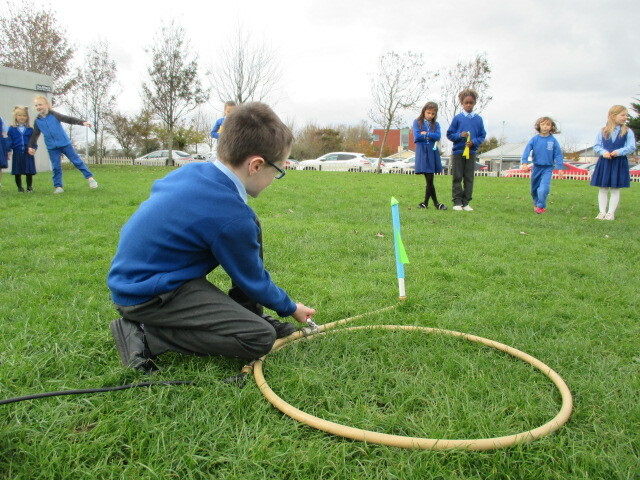 We made air rockets last week in preparation for Space Week. 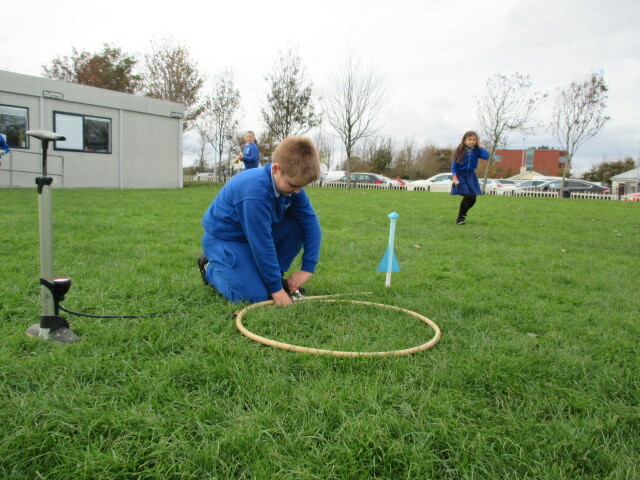 Click here to see how they were made. 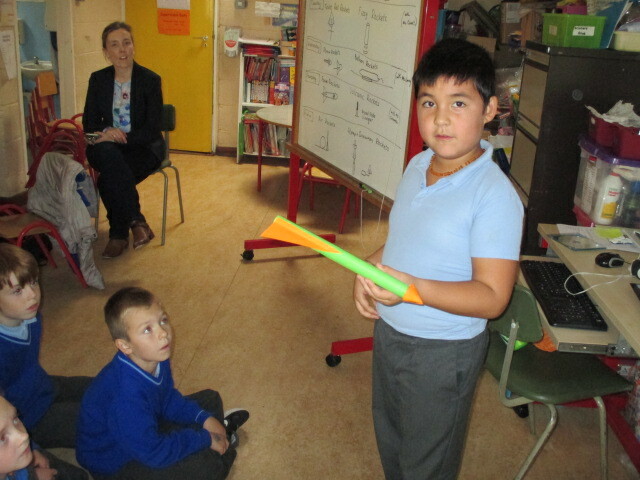 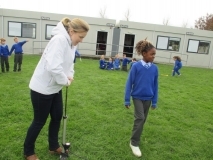 Today we showed Ms. Maguire’s class how to make the rockets and we explained how they will be launched, with air under pressure (from a bicycle pump).